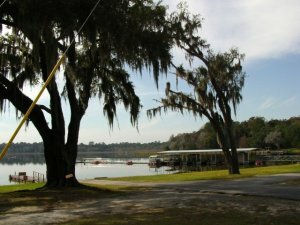 Unlike many RVers, I'm thrilled to find a famcamp that will allow tent campers someplace to enjoy OUR military benefits too. Pricing is great, facilities were good except the campground bath house is closed due to a failed septic system. Had to use the RV park bath house for everything. They're working on it, but it may be a while for repairs to complete. The view from the campsite was outstanding! I had electricity in the tent to charge my phone and laptop, but the wifi was sporadic. No biggie, I tethered my cell phone (ATT) and pressed on with my web work. Stop in, be pleasantly surprised and taken care of by the easy to work with staff at the office.